We provide Round Containers for various products, like pens, oil containers, perfume container, pharmaceutical, etc. 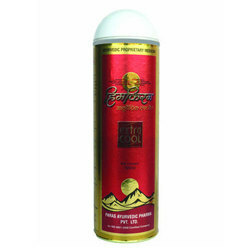 We have developed the Metallic Round Containers to give your product rich look. We provide Printed round containers in various sizes, each of this box is specifically designed considering the size of the product. These boxes come with matching top and bottom lids as well. The diameter and height of the boxes is avaible in various sizes. 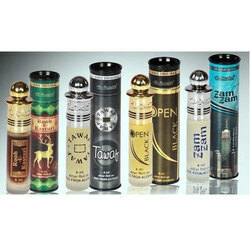 We are manufacturers of innovative round perfume containers. We provide these containers in various metallic colors and effects. 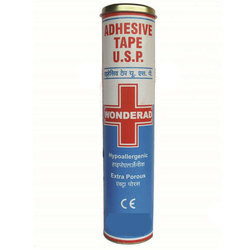 They come along with outer cartons to provide complete package. These containers are available in bulk quantity only. This innovative oil packaging comes in various colors. It is suited for various oil bottle sizes. It has luxor metallic effect with a round cap to suit the package. It is sturdy and has enough strength to protect bottle in transit.